Wow! 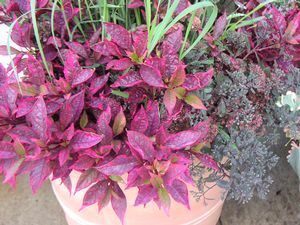 Flashy fuchsia and magenta colored pointed leaves. A staff favorite that held up in the cool temps this fall, too. Will definitely add drama to any landscape or container.